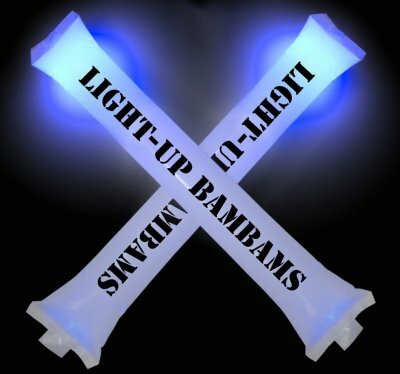 Light Up Stix have an LED bulb inside that illuminates the entire stick- watch ’em glow as you wave and bang them around! They are ideal for events where the lights will be turned off! Upgrade to For 7 Color cycling LED light for a massive light show at your next event. Considering having sponsors place their logo on the back of your Light Up Stix and raise funds. Up to 4 logos can be placed easily.